Hi, been a forum user since getting my 2003 C4S last year but the time has come to ask for some advice. Fairly handy with cars but new to Porsches so doesnt hurt to ask your elders (or juniors)! Checked the coolant level before getting it out of the garage this morning and noticed a slight drop in the coolant level compared to normal. Started up fine and left running on the drive for a few minutes, then turned off to go and lock the house. Now as part of my paranoid OCD I always check the coolant level and my garage floor whenever it comes out of the garage and there were no oil or coolant or any other suspicious Porsche originating fluids on the ground, happy days! So upon returning to the car ready to head out on a drive I notice a dripping from below the water pump area (engine lukewarm and not running). Stuck a bacofoil tray under it and sure enough, pink coolant. Stick my head under for a good look and the leak appears to be running down a casted rib on the pump housing (will try and attach a photo) and also from the bottom of the belt. I started it up and within a couple of minutes the leaking completely stopped. No more dripping. Drove round the block and checked, still no leaking, and car now up to temp. Drove a little further before heading back home, and when stopping to turn around in car park notice a clattering noise which disapeared before could get out to investigate. Anyhow, car back home and now leaking whilst warm so does this have all the hallmarks of a bad waterpump or could it be something else? It continued to drip once parked and turned off but slowly came to a stop (guessing when the pressure dropped). 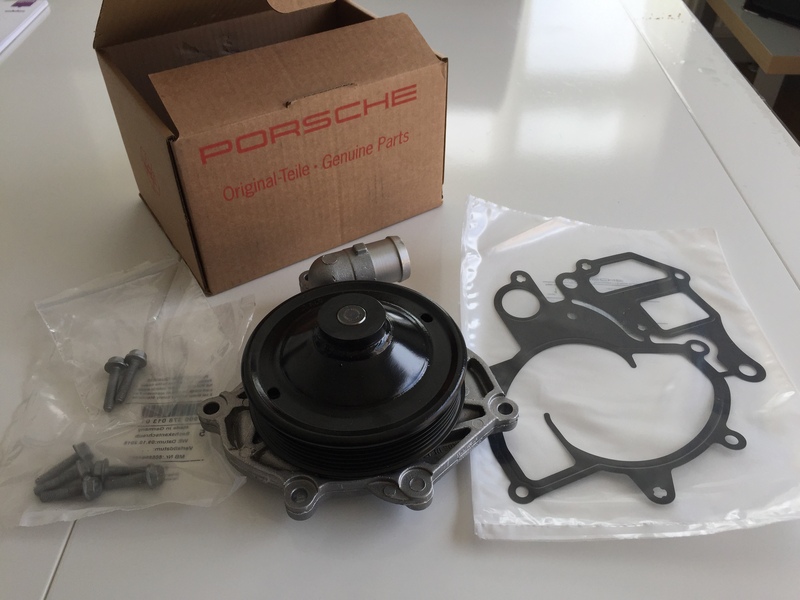 Assuming it is water pump then what are peoples opinions on replacement, OEM or pattern? Any recomendations? Also, I dont believe it has a low temp thermostat so would it be advisable to install one of these at the same time or is sticking to an OEM stat preferable? Would hope to try and get the parts this week whilst i have some free time so hoping I can get the issue sorted fairly quickly. Yup .. your water pump has failed . Dont drive it too much please .. the bearing has probably broken up , this will induce a lot of play and can in extreme cases throw the belt off or the pully can rub against the bolts making them pretty hard to remove . Im an OEM guy im afraid .. Porsche didnt do that bad with designing components . You'll find the engine seems super quiet when you change it; it'll have been knocking for ages before it started leaking. 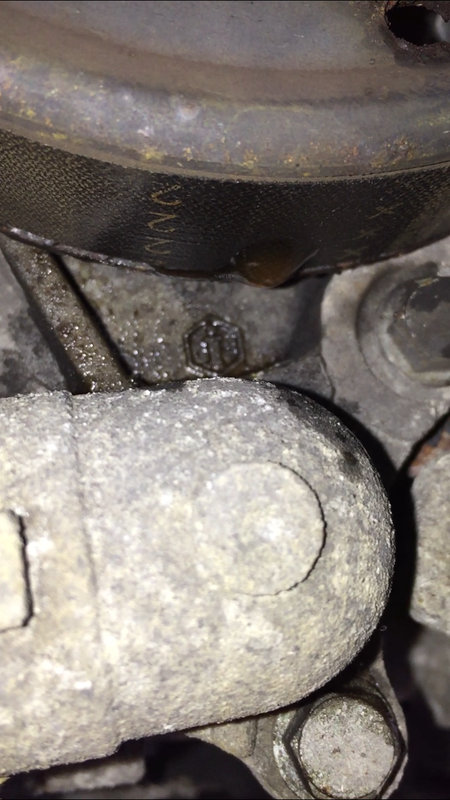 In extremis, a knackered water pump sounds awful, like the engine is about to explode! What a forum.... a reply in 5 minutes!!! Thanks for the replies already. Will ring around for some parts prices in the morning and hopefully wont be too long to wait for them. The noise when i stopped was certainly an attention getting death rattle style noise, although it wasnt doing it when i got back. It wont be getting used until the pump is fixed. I changed the pump on my 996 Turbo a couple of years ago. I'm not sure if the C4S is the same as the part numbers look to be different, but I bought a Pierburg pump and after comparing closely, I'm sure it was identical to the OEM pump I removed. Importantly, to me, it had a fibre impeller, as is OEM. 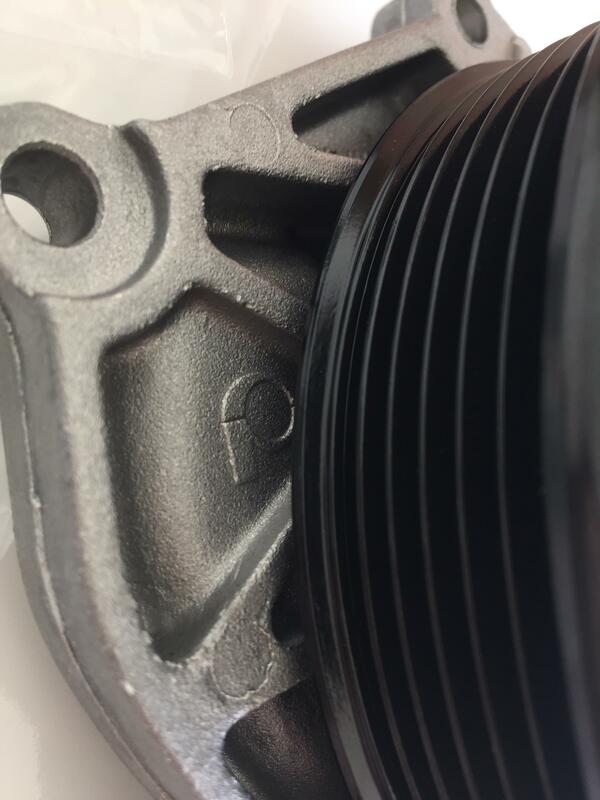 The failed bearing in mine had allowed the impeller to rub against the pump housing cast into the block. I've seen some replacement pump brands which have metal impellers. Not sure I'd not like to see a metal impeller in contact with the block? I just changed my water pump and thermostat a few months ago, went with the Pierburg also. You can see the images on the winter jobs thread. Be sure to spray plenty of penetrating fluid on the bolts prior to removal as I’ve seen some snap and unless you remove the hanger, bumper etc you haven’t got a lot of room to re torque the bolts. Just picked up an OEM pump, gasket and new bolts (just in case). 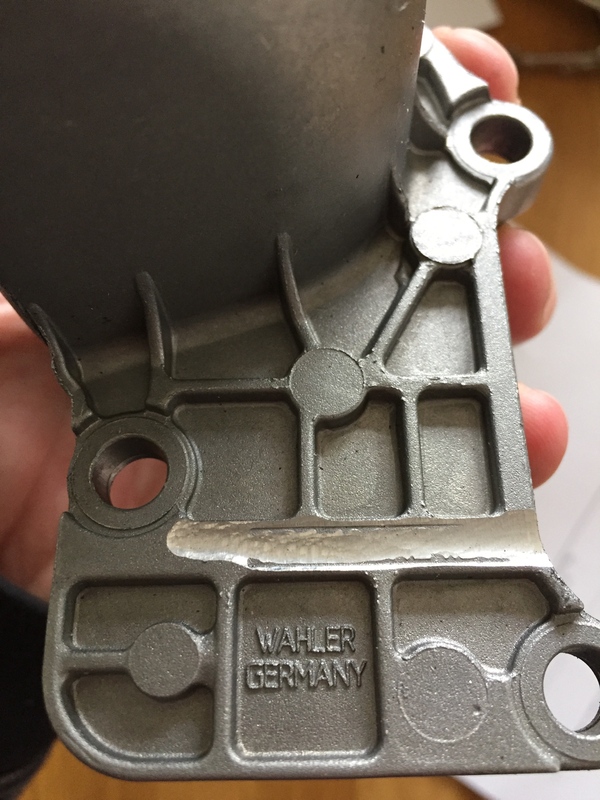 Interestingly, it seems to confirm that Pierburg are the OEM supplier as this look like a Pierburg casting stamp. I will have a good read of the job guides before starting. Thanks! Use side cutters to remove the separate part of the gasket .. you don't need that part. Clean the engine surface and fit the gasket dry .. don't use any kind of sealant .. well i don't anyways and i've done a few . New water pump and LTT installed so back on the road, no leaks or noises so far, so all good. Thanks for the tips. The only casualty was the 2 bolts for the catalytic converter brackets which were decapitated almost immediately. Also, just in case anyone was wondering, I installed a Wahler low temp thermostat and it also appears to be OEM like for like with the one I removed (apart from the part number being ground away and the lower temp stat inside).